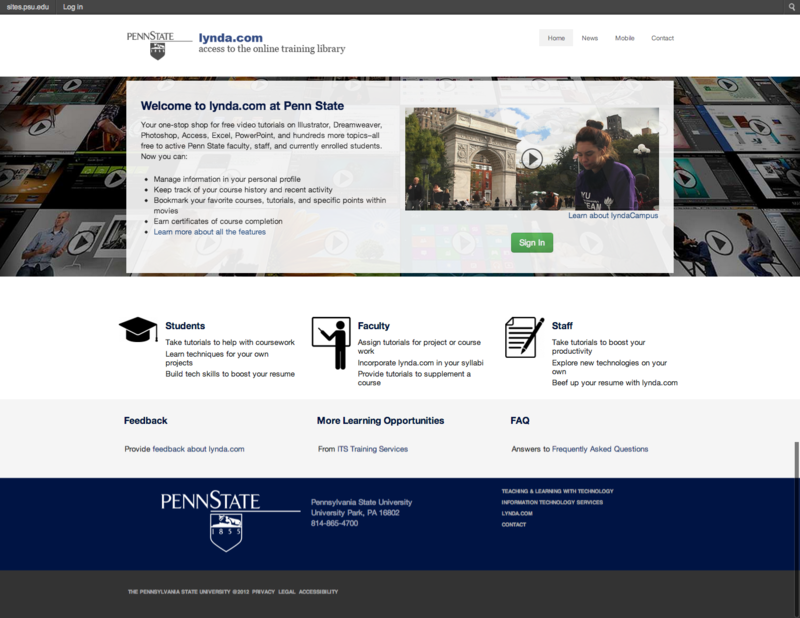 Penn State’s Lynda.com service site needed to be migrated from a Moveable Type page onto the new university-supported WordPress platform (hosted on sites.psu.edu). A clean user experience dominated the early wireframes and followed the project into production. My favorite version included a lynda.com video player background image—however, the image was distorted in mobile/tablet views. As a result, I built the simpler yellow-and-black version.